Every year STARTTS holds the Humanitarian Awards to acknowledge and thank those people who have made an exceptional positive contribution towards refugee issues in NSW. Individuals and organisations in various fields who are doing outstanding work to support refugees are eligible for the Awards. The Humanitarian Awards are your chance to nominate someone who deserves to be recognised for their excellent work supporting refugees, in whatever field they happen to be working in. Over the years, the Humanitarian Awards have honoured community leaders, youth workers, lawyers, journalists, teachers and many more – each of them making an incredible contribution to improving the lives of refugees. This year, the 2018 Humanitarian awards were presented at the official launch of Refugee Week 2018 in the Barnet Long Room, Customs House, Sydney on Friday June 15. CEO of the Refugee Council of Australia(RCOA), Paul Power, joined STARTTS CEO, Jorge Aroche, in the presentation of this year’s Humanitarian Awards to a group of outstanding individuals. 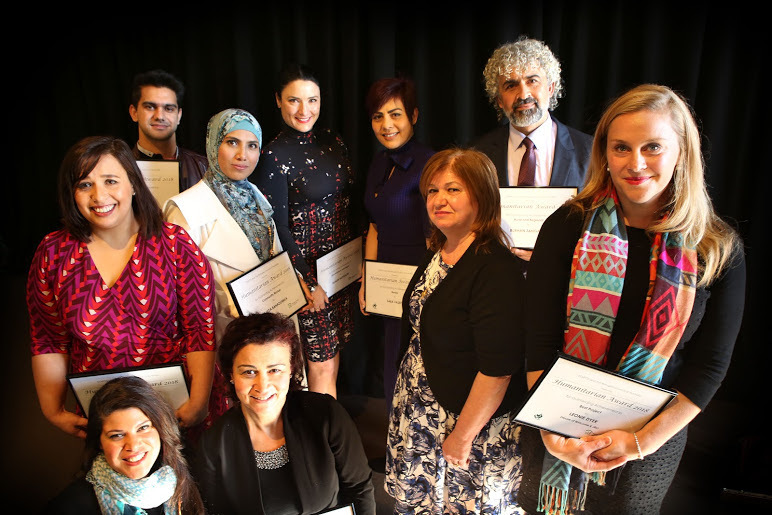 STARTTS warmly congratulates all of this year’s winners and wishes to thank our partner, Refugee Council of Australia (RCOA) and all of those who made submissions again this year. Read more about this year’s group of inspiring Humanitarian Award winners.